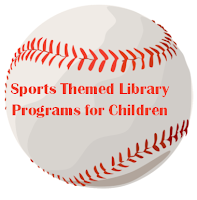 I know lots of people doing sports/games-themed summer reading programs. Here are some program ideas from my blog archives if you are looking for some inspiration. Minute to Win It (school age/tween) I have blogged several of these. Please let me know if you try any of these programs and how they go!